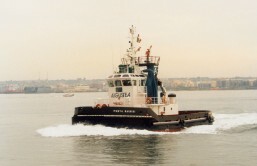 Azimuth, more commonly known as ASD (Azimuth Stern Drive), equipped with two stern engines capable of generating a 360°, all directional propulsion force. 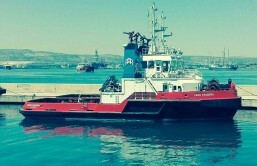 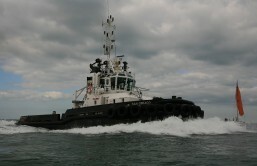 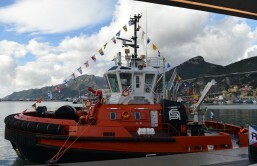 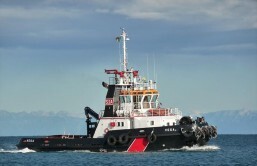 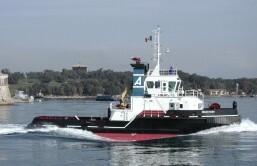 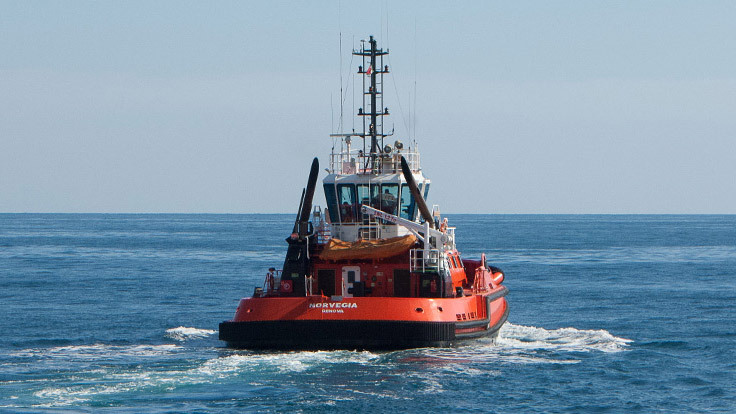 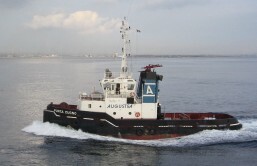 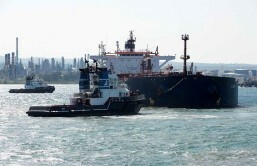 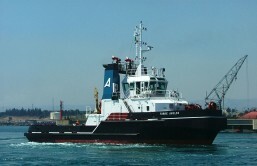 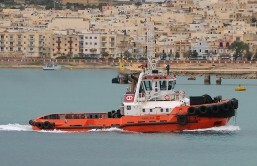 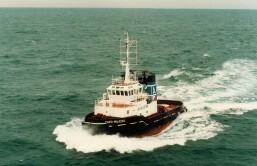 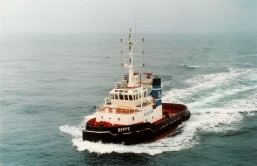 ASD tugs normally have a towing winch forward and, when commercially required, a towing winch and/or towing hook aft. 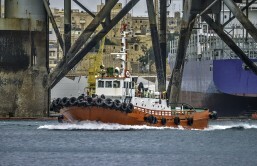 This enables them to work successfully on the vessel's stern and shoulder. 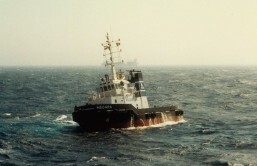 Also, when required, they can operate in 'Bow-to-bow' mode. 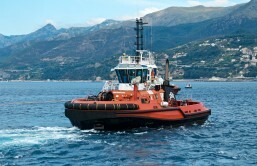 'Push/pull' mode provides great flexibility and speed during operation. 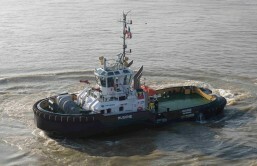 The most common usage of ASDs is for harbour towage, with average bollard pull now around 65 tonnes (and increasing). 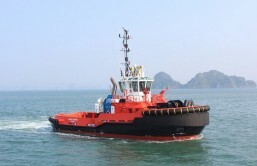 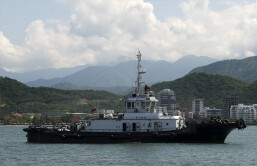 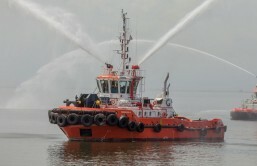 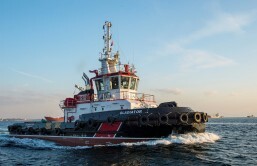 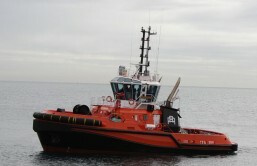 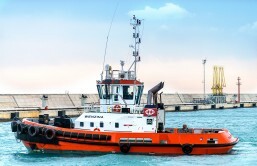 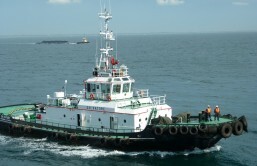 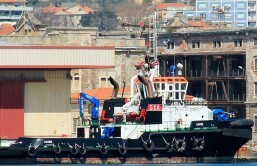 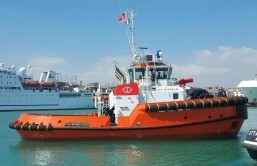 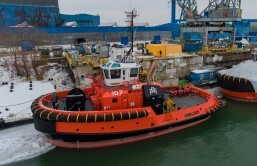 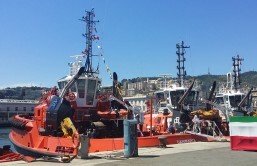 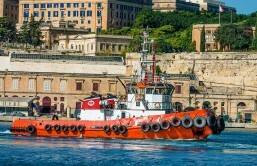 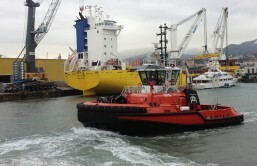 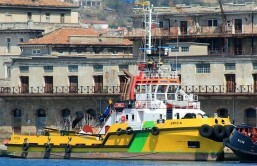 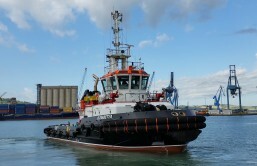 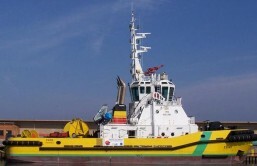 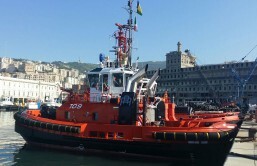 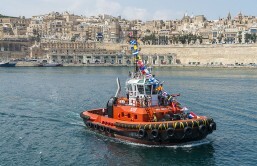 To obtain even greater bollard pull (while retaining small hull sizes), tug builders are increasing the hull strength.